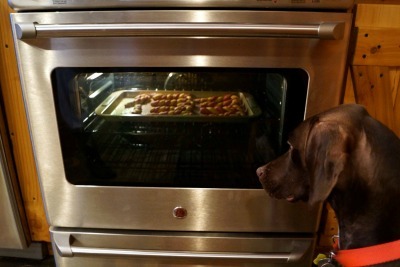 Please remember to "Like Us" on Facebook to keep up with all the fun and tasty dog treat recipes. Keep your pup cool and comfortable this summer by providing lots of fresh water, plenty of shade and delicious frozen dog treats. 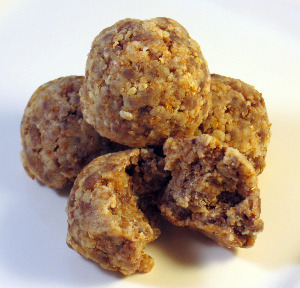 Start with a crowd pleasing frozen meatball recipe that can be made with any cooked ground meat that your dog prefers. Make very small meatballs for a quick and easy training treat. Instead of using the cookie scooper, pinch off small amounts of meatballs and freeze before using in a training session. 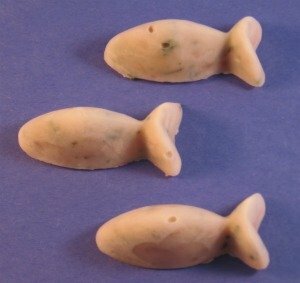 One of the easiest frozen dog treat recipes is our Yogurt Tuna Pops. You can mix up the recipe by substituting the tuna with canned salmon, chicken or even ham. Use a fun shaped silicone ice cube tray like the treats pictures below, or a regular ice cube tray for a tasty frozen treat. For all of our fruit loving dog friends out there, we've got a tempting frozen treat for you, too. Whip up a batch of creamy peanut butter and fruit smoothie pops for a refreshing snack. Easily change the blueberries for another dog friendly fruit that is in season. Plus, the peanut butter can be substituted for almond butter or sunflower butter for a healthy change. 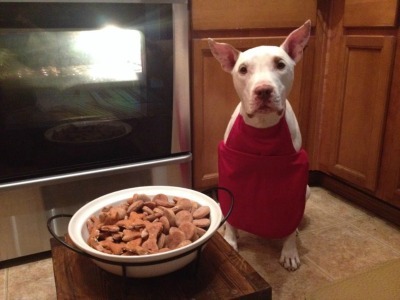 Take your passion for making homemade dog treats to the next level. Read my review of a very helpful eBook on How to Start Your Own Dog Bakery Business, to help you get started. There are tons of tips and tricks to get you started right and make a success of your very own bakery. Have fun on Friday, June 20th by taking your dog to work with you. There are several things to consider before showing up with your companion by your side. Check with your boss, your co-workers, and your dog. Yes, consider if your dog has the temperament and interest in being the center of attention in a new environment. Once everyone is on board with bringing your dog to work, use this fun day to bring awareness to your local animal shelter by raising funds. Ask for a small donation or sell homemade dog treats and give the proceeds to an animal charity. Get more ideas with the article, 10 Ways to Celebrate Take Your Dog to Work Day. 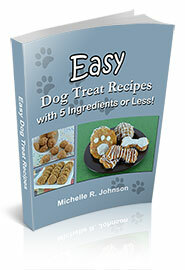 For the cost of a box of commercial dog treats, you can have my eBook, 15 Easy Dog Treat Recipes with 5 Ingredients or Less! Then you can make endless amounts of healthy, yummy, tested dog treat recipes that are already being enjoyed by countless dogs. 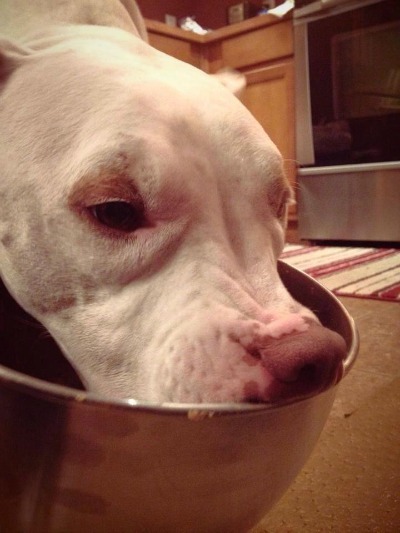 "I have I diabetic dog and it is very easy to adapt these recipes for my dog. Now I don't have to order very expensive from the east coast. I can put in the flavors he likes and leave out the sweetener and he likes them very much." 5. Photo of your pet, pet ID, and a photo of you with your pet. This list was taken directly from the American Humane Association website. Please review all of their tips to prepare your pets, your family and yourself. 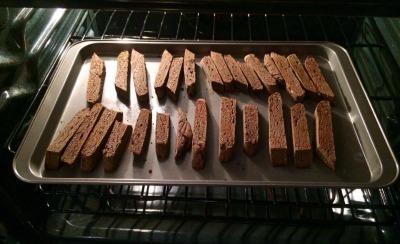 "My dog LOVED these treats. He was licking the crumbs off the floor!"